Terry spent the earlier years of his career in the banking industry before becoming a Sun Life Financial advisor in 1975. 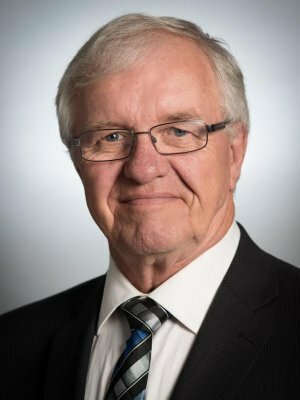 He became the Financial Centre manager for the Regina Financial Centre in 1979, but returned to operate his business as a Sun Life Financial advisor in 1987. In 2012 he was excited to be a part of Blue Whale Financial Solutions Inc., because of the energy and enthusiasm this team brings to financial services. Terry is a licensed life insurance and accident and sickness insurance agent as well as a registered mutual funds representative. He has received many awards over the span of his career but his proudest achievement is his lifetime designation to the Million Dollar Round Table (MDRT). Terry and his wife Pam spend their time spoiling their 14 grandchildren and enjoying family get-togethers. He is a sports enthusiast following the Saskatchewan Roughriders and volunteering for their club. He also enjoys The Toronto Blue Jays, the St. Louis Cardinals and the Edmonton Oiler hockey team.